We have an exciting club at Brentnall called ‘Boogie Bounce at Brentnall’! 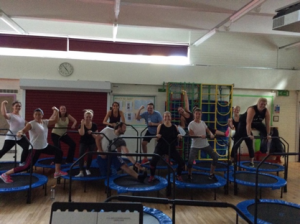 The aim of the club is to promote healthy lifestyle choices whilst children and their parents spend quality time together enjoying Boogie Bounce which is a fab, fun and funky exercise programme on a mini trampoline with a safety bar that is choreographed to chart topping inspiring music. In addition, advise on a healthy diet, exercise and general well-being is promoted. 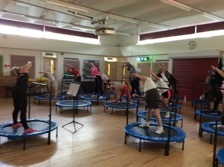 There is no cost for these sessions and children who attend with their parents will receive a goody bag that will be built up each week with interesting prizes. If you are interesting in joining this club, please see Mr. Jano at the School Office for availability.